Travelers of various times and from various countries had often described Kazakhstan as a land of deserts and vast semi-desert steppes. However, this is not so. 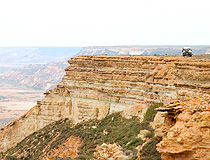 Most foreign travelers saw only the southern part of Kazakhstan land that borders on the great deserts of Central Asia, across which lay the old caravan routes linking the trading centers in the West and the Orient. 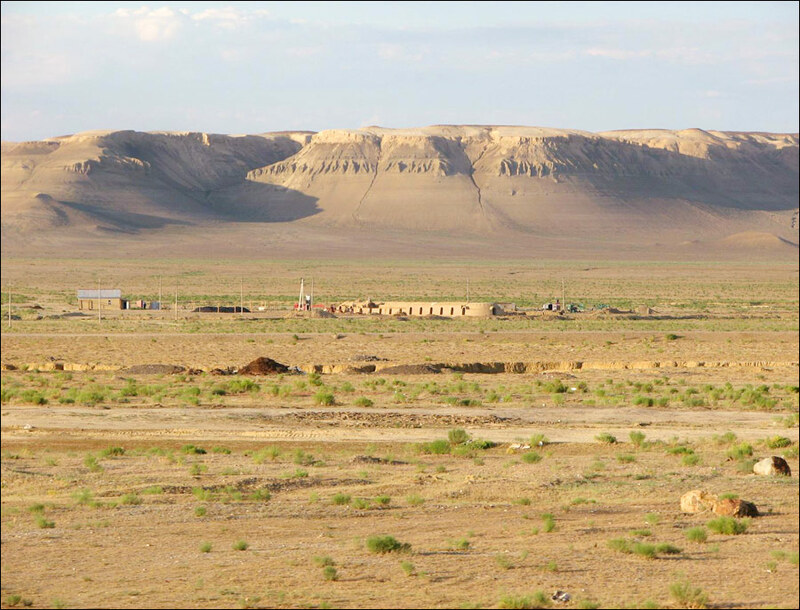 True, there was little along those routes to catch the inquisitive eye of the traveler except takyrs, or clay beds of dried-up steppe lakes, and barkhans or sand dunes interspersed here and there with patches of oases. 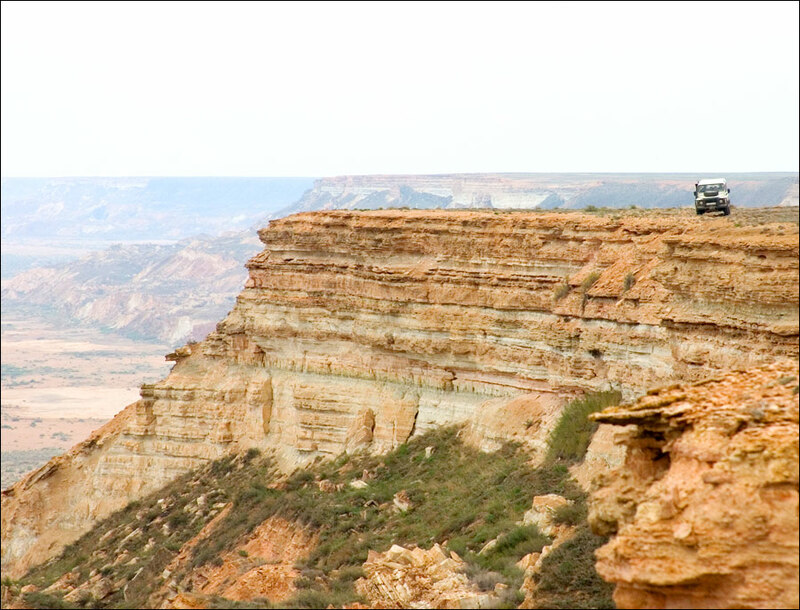 But if Kazakhstan traveler had turned slightly off the ancient caravan route and headed north, he would soon get a very different impression of the land where nearly every type of landscape that exists on our planet can be found. 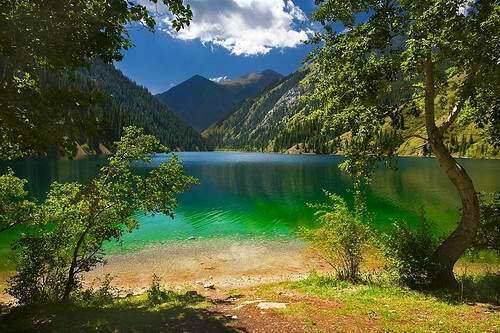 The poetic heritage of Kazakhstan people contains captivating pictures of the land with its broad expanses, the enormous bulks of snowcapped mountains and the azure mirrors of lakes. The world of striking contrasts that greets Kazakhstan traveler wandering through the wide-open spaces of Kazakhstan land confirms the truth of the descriptions left us by the nameless authors of poetic legends and ballads. 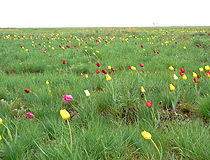 Only about 40 to 50 kilometers from the huge snow-white peaks rising in majestic succession, which look like the pyramids of the Egyptian pharaohs magnified many times, begins the boundless steppe, a pale yellow plain stretching to the very horizon. 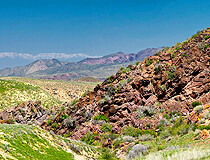 Rocky mountain gorges and precipices densely covered with bushes, murmuring mountain streams and rumbling waterfalls neighbor upon the dried-up beds of ancient rivers now filled with sand; and icy mountain lakes lie next to takyrs - these bald spots of the desert plains. Kazakhstan Sombre mountain groves permeated with the musty odour of mould and the sweet smell of wild berries suddenly give way to suffocating tugais, impassable forest thickets that are damp and stiflingly hot. This is Semirechye stretching northward of the Tien Shan mountains. Vast tracks of feather grass lie next to dense pine forests and limpid lakes of Kazakhstan. These miniature crystal bowls filled with life-giving moisture are scattered across the land in such a way that it seems as if someone has strewn diamond beads over the steppe from the skies. 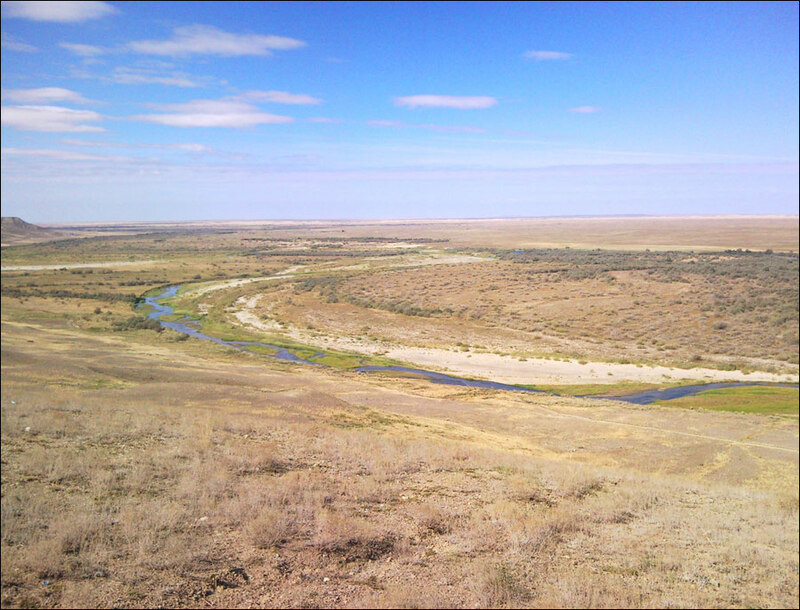 This is Kokshetau (Sinegorye), an area lying in the north of Kazakhstan. A silvery lake with white swans gliding over its still surf; and flamingos walking with slow, measured steps, carrying themselves proudly, amid a vast ocean of grain fields. 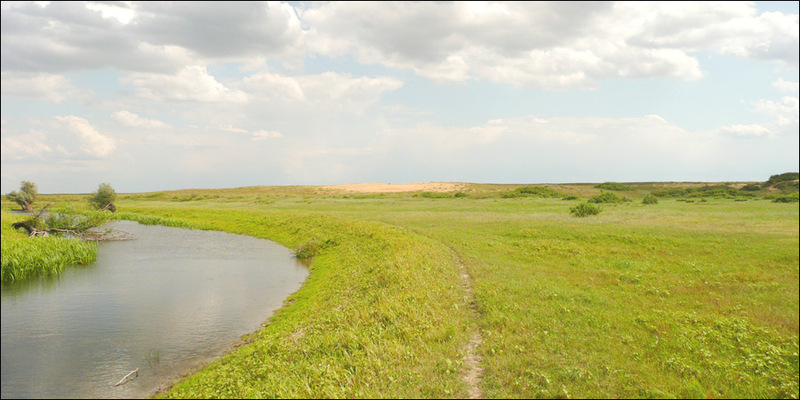 This is the steppe lake Tenghiz in the north of Kazakhstan, which according to scientists, appeared after a huge meteorite had fallen here in prehistoric times. 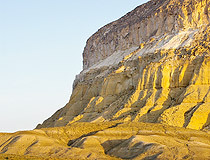 There are quite a few unique natural phenomena in Kazakhstan. For example, you may listen to “concerts” of signing sands in the environs of the resort of Ayak-Kalkan (Almaty region): here the sand dunes, being moved by the wind produce sounds which are as loud as the blasting of a ship siren. 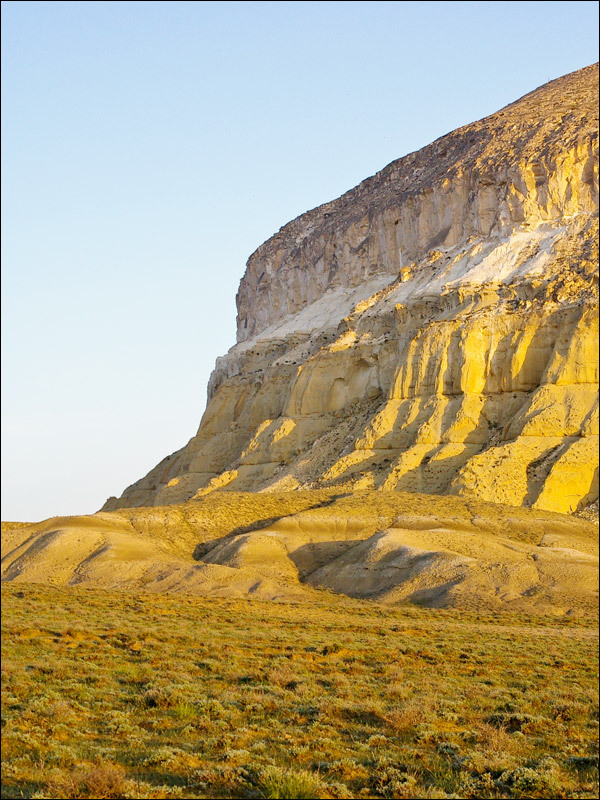 Situated in Mangyshlak (the peninsula which juts out into the Caspian Sea) is the dry Karagiye Sink, the deepest in the FSU, with a depth of 132 meters below sea level. Then in Kazakhstan there are vast underground lakes, intricate canyons, and mysterious ice mountain Muztau - an iceberg on land. The diversity of landscapes and terrains of Kazakhstan land is explained by its being situated in the innermost part the immense Eurasian continent, the scene of numerous landmarks in the geologic annals of our planet. In the southern latitudes of the temperate zone owing to an abundance of sunshine and relatively low precipitation, steppes, deserts and semi-deserts predominate. 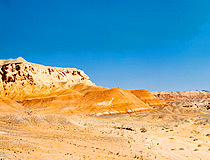 The terrain in Kazakhstan varies from low-lying plains to mountainous regions high above sea level. 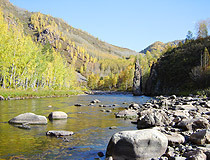 The lowlands lie in the north, where they form the southern part of the West Siberian Plain, in the northwest and in the south. They make up one third of the territory of Kazakhstan. More than half of Kazakhstan territory is taken up by plateaus and hills 300 to 400 meters in height. The chains of Altai Mountains and Dzhungarski Ala-Tau reach a height of 4,000 to 5,000 meters and more in Kazakhstan. imie asks: Is Kazakhstan a part of Europe? 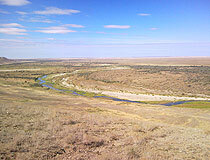 About 12,5% of the territory of Kazakhstan is the part of Eastern Europe (the border of Europe on Emba river). 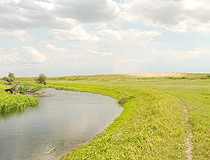 It is West Kazakhstan oblast. 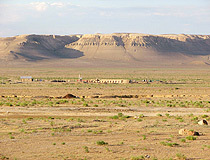 The other part of the country is located in Central Asia. Kazakhstan is considered a transcontinental country. Wow! 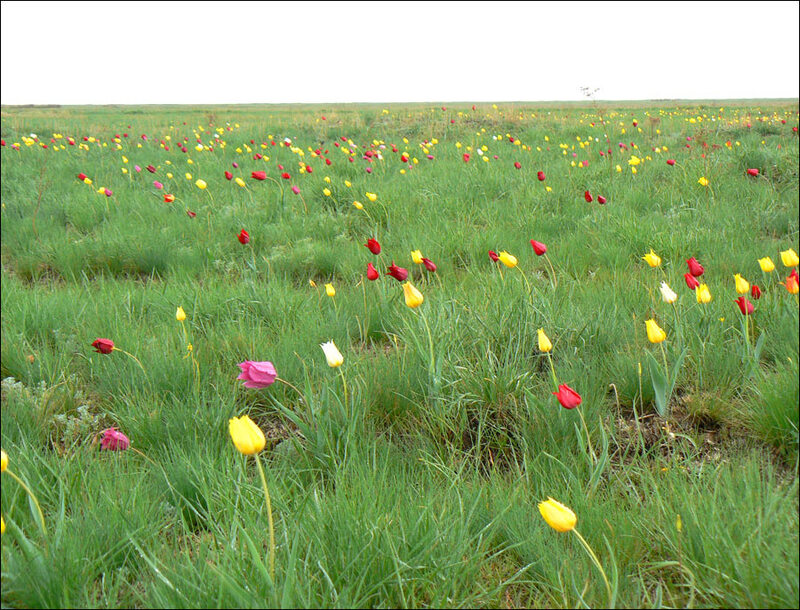 I absolutely love landscape sort of things, and I really want to go to Kazakhstan now! Beautiful and engrossing. Great job!